MIRROR pensioners who lost out in the Equitable Life scandal have been rebuffed by the government – but a growing group of MPs has vowed to make Parliament think again and pay out on “a debt of honour”. During the Commons debate on January 31 the government claimed the issue was closed, but a resolution was passed calling on them “to make a commitment to provide full compensation to victims of the scandal”. And the MPs’ action group warned that the government might be forced to do the right thing. 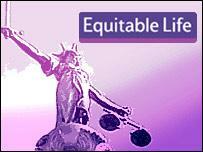 MPs of all parties from all over UK said they had thousands of Equitable Life (EL) losers in their constituencies, and some declared an interest, saying they themselves had lost money. There are now 238 MPs, and growing, in the All-Party Parliamentary Group for Justice for Equitable Life Policy Holders. They said many of their constituents have written the most heart-breaking stories about how their lives have been destroyed by this scandal. He recalled that EL encouraged people to move their life savings into unsustainable pension funds by promising bonuses that could not be delivered, and many companies encouraged their employees to invest with EL thinking it was a safe haven. The parliamentary ombudsman has said this was the most serious case of maladministration she had ever encountered, but under the compensation scheme most [EL victims] received a fraction of what they were due. The Treasury’s excuse for not fully compensating the EL victims was pressure on the public finances, but MPs argued that as public finances have improved and austerity is at an end, it is now time to compensate the victims of the scandal properly. However, Economic Secretary to the Treasury John Glen – whose own father died two years ago having been paid only 22.4 per cent of his Equitable Life bond – took a hard line. He said: “I want to be clear: when this settlement was made, it was not subject to future review by the Government. “No obligation linked it to the future state of public finances. Being in government is about making difficult decisions. These difficult decisions are about how to be fair to both hard-working taxpayers and those in receipt of public spending and services, and where the need to spend public money is greatest.